BROOKLYN HEIGHTS/PROSPECT HEIGHTS – It can takes years for professional artists to get their work exhibited at a major institution like the Guggenheim, but some lucky Brooklyn elementary school students will have their artwork included in a group show at the museum later this month. Students from PS 8 (The Robert Fulton School, 37 Hicks Street) in Brooklyn Heights and PS 9 (Teunis G. Bergen School, 80 Underhill Avenue) in Prospect Heights will have their art exhibited as part of the Guggenheim Museum’s A Year With Children 2018 annual presentation from Friday, April 27 to Wednesday, June 13. 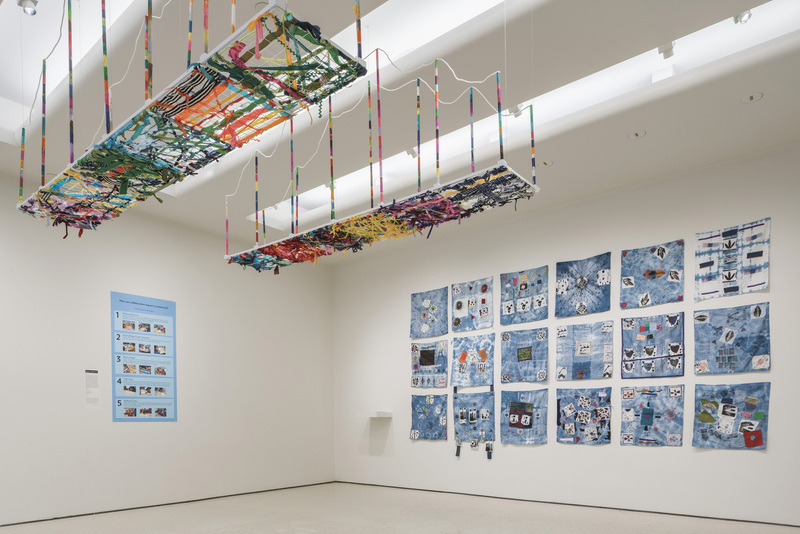 The students are participants in the Guggenheim’s Learning Through Art (LTA) program which was founded in 1970 by Guggenheim volunteer, Natalie Kovner Lieberman, in response to the elimination of art and music programs in NYC public schools. Now in its forty-seventh year, the program will showcase select artworks by second- to sixth-graders from eleven public schools across the city who participated in the LTA program during the 2017-18 school year. More than one hundred student-created pieces will be on view at the museum’s Tower Level 4 gallery and include collage, drawing, installation, painting, print, and sculpture. 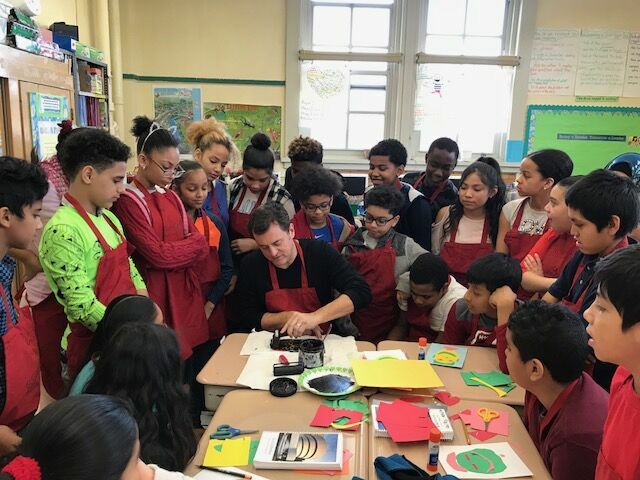 In the 2017-18 school year, thirteen teaching artists worked with classroom teachers at eleven New York City public schools, developing projects to promote visual literacy and connect with themes related to the school’s curriculum. The teaching artists incorporate text, music, games, and collaboration to teach process and technique and encourage the students to take creative approaches in solving problems. Each student is given a sketchbook and an artist’s apron and is immersed in the creative process, learning about the teaching artists’ own practices and visiting the Guggenheim throughout the school year to see the exhibitions on display. Third-graders from PS 8 created stuffed sculptures composed of embroidery, fabric, fabric markers, beads, and buttons that investigate their daily commutes to and from school. 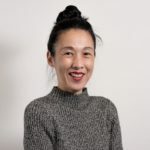 Inspired by the artist Cao Fei’s work which was exhibited in the Art and China after 1989: Theater of the World exhibition, PS 8 fourth-graders designed avatars based on aspects of their identities as well as virtual versions of their worlds. Inspired by the Josef Albers in Mexico exhibit, third-graders at PS 9 used recycled materials to create mixed-media papier-mâché masks that celebrate culture and community. Fourth-grade student artists at PS 9 wrote poems inspired by George Ella Lyon about their unique personal identities and produced multimedia artworks using collage and acrylic paint to illustrate who they are, where they are from, and what they hope for the future. PS 9 fifth-graders discussed current issues impacting their lives including bullying, racism, and gun violence, then used iPads, sculpture, and drawing to produce films that advocate for positive change. A reception will be held for the opening of A Year With Children 2018 on April 26. A student docent from each participating class will be present at the reception to discuss their projects. To learn more about the Learning Through Art (LTA) program, visit Guggenheim.org.